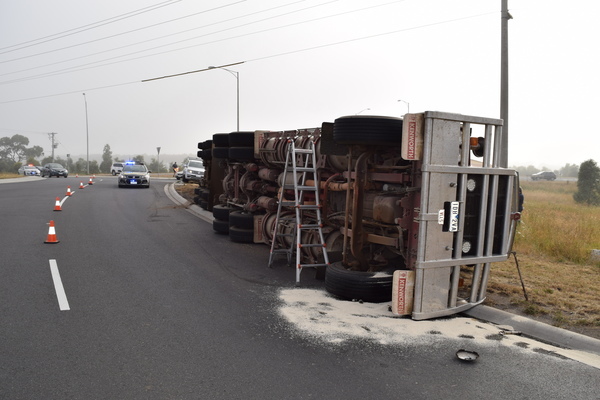 POLICE have praised the efforts of volunteers, emergency service workers and locals who stopped to lend a hand when a cattle truck rolled over in Kooweerup on Tuesday 15 January. 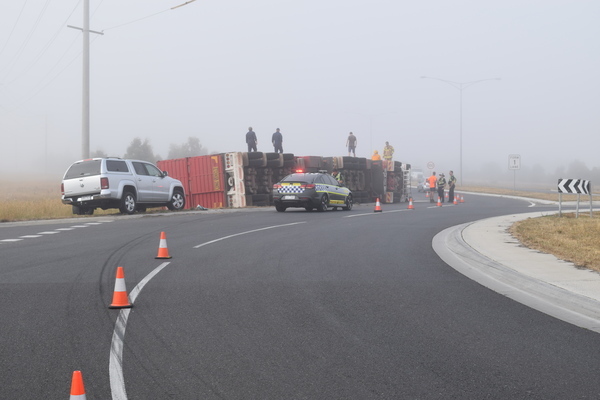 Cardinia Highway Patrol’s Leading Senior Constable Anthony Templar, the incident controller on the day, said the operation would have been far more difficult if it wasn’t for the “goodwill and community spirit” shown by those who assisted on the day. 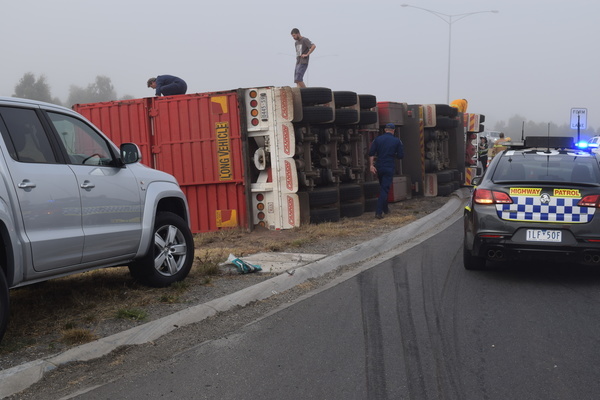 “On top of the multi-agency response from our emergency service workers, we also had people from the VLE in Pakenham, local farmers, heavy haulage specialists, a vet checking on the welfare of the animals and locals providing their properties for the cattle to be herded into,” he said. “It was just amazing to see the goodwill and community spirit shown by all who assisted; the day would have gone much longer if it wasn’t for their help. 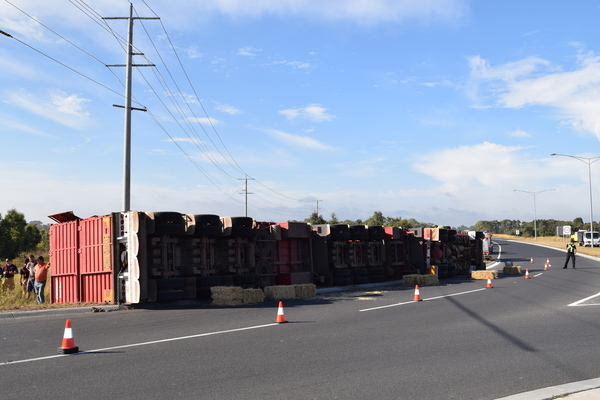 Leading Sen Con Templar said the truck, a Kenworth prime mover with a B-double cattle trailer, was loaded with 60 cattle when it overturned on the Kooweerup Road, Manks Road intersection. Several cows had to be euthanised on the scene. The animals that did survive were herded to safety via a hole cut into the trailer. 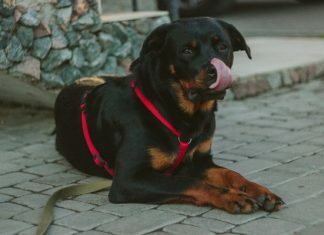 During the five-hour process a truckload of food, icy poles and water, purchased from Woolworths Kooweerup was also donated to those working on the scene. “A customer that lives nearby came in and bought them from us to take down there, but we don’t know who it was,” a Woolies store manager told the Gazette.Leading Sen Con Templar wished to extend “a big thank you” to all who helped on the day. The driver and sole occupant of the vehicle, a 45-year-old Warnambool woman, is due to appear at Dandenong Magistrates’ Court at a later date.